Valentine’s Day is just around the corner, which means soon enough, we’ll see our favorite gift shops lined up again with mushy stuffed toys, chocolates, and bouquets of flowers. While the season is surely a big treat for couples, it can sometimes be a little…difficult for those who are not exactly all loved up with a significant other. But don't fret, Valentine’s Day can actually still be an occasion, whether you are happily single or trying to move on. Besides, there is no ACTUAL rule that says you have to spend it with a special someone over a date, right? Drawing a blank on how to use your time during the season of hearts? Browse over these bittersweet movies and while away the hours indulging on them! Who knows, they might give you that much-needed insight you need to look at your relationship status from a whole new perspective. First, the classic. This movie catapulted Hollywood A-listers Rachel McAdams and Ryan Gosling into stardom after they played rich girl Allie and mill worker Noah in the silver screen. It’s a classic love story filled with common tropes: rich family hating the poor guy for their daughter, wrong timings, and denial to name a few. The Notebook is a story that shows how society can get away in the genuine feelings of two people, and how love can endure even this, through time. Sam Claflin and Lily Collins play best friends Rosie and Alex who were separated, brought together, and separated again by the many obstacles in their life. What makes the movie different from your run-of-the-mill love story is how it shows the characters navigate the circumstances of their life caused by their wrong decisions and warped sense of selflessness for each other. Love, Rosie is a masterpiece because it doesn’t give the immediate sweet ending common to the romance genre, but rather show the struggles of two people and the realistic way their characters develop because of them. This indie film set up in Sapporo, Japan is a surprise hit in the Philippines – and for good reason. The unlikely team of Alessandra de Rossi’s Lea, a Filipino tourist, and Empoy’s Tonyo, a taxi driver, is a hook in itself, but the story-telling made it better with its light-hearted humor and well-timed touching moments. Kita Kita turns the typical good-looking girl meets good-looking boy trope on its head and shows how physical appearances do not always weigh in when it comes to relationships. Most of all, the movie shows the beauty of sacrifice, and how love always has a way of coming back to us in a form we least expect. The movie stars Kate Winslet as Clementine and Jim Carrey as Joel, two ex-lovers who both decide to go into extremes of moving on from their failed relationship by having the memories they have of each other erased. 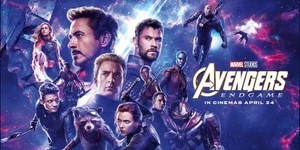 Despite the science-fiction elements of the story, the movie hits close to home when it comes to our human nature of wanting to get over pain quickly and easily. Eternal Sunshine of the Spotless Mind shows how life – and relationships – are made even better by risks, regardless if said choices will just end up breaking our hearts all over again. This film gave a whole new popularity to the bittersweet movie genre. Joseph Gordon-Levitt plays Tom, a trained architect-turned-writer who meets Zooey Deschanel’s Summer, his assistant’s new boss. The two falls in love and face twists and developments in their relationships that cause Tom to question his perspective on love and himself. 500 Days of Summer shows the ugly and difficult part of moving on and coming to terms with something that you first thought of as perfect – elements not all movies in the genre openly deals with. Here’s another indie-film-turned-critical success in our local cinemas. Angelica Panganiban plays Mace, a broken-hearted girl who meets an unlikely friend in JM De Guzman’s Anthony after they meet in the airport. The movie walks us through Mace’s efforts of trying to get over her heartbreak by starting an unexpected adventure with Anthony in Baguio and Sagada. That Thing Called Tadhana lays off on all the heavy theatrics and dramatic crying (except for that one funny airplane scene), but still appeals to something real inside all of us who have suffered from heartbreak with its light acting and beautifully-written metaphors. This independent film is Philippine’s answer to Eat, Pray, Love. The movie stars Alessandra De Rossi as Cielo, an artist who was struggling to get over her canceled engagement. 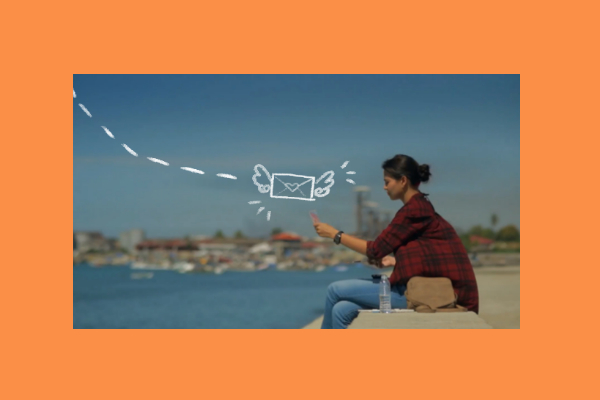 After moving into a new apartment, she starts to receive mysterious postcards of different parts of the country from an anonymous sender. The film explores the importance of getting lost every now and then after Cielo decides to travel to different local destinations without much of a plan. Sakaling Hindi Makarating shows how vulnerability and courage can go well together, and how wandering about aimlessly can sometimes lead you to something bigger than yourself. 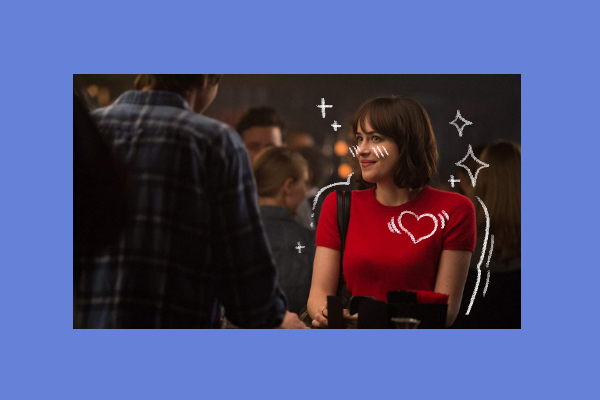 This feel-good romantic comedy starring Dakota Johnson as Alice, a paralegal who takes a break from her long-term relationship, tackles deeper themes than what the movie first suggests with its slapstick humor. The story centers on Alice's efforts as she tries to understand what she wants in life, and her development as she slowly learns to deal with the circumstances caused by her choices. How to Be Single shows all the sides single life can bring and all the lessons you can learn from it – the good, the bad, and the exciting. File this under ‘Movies You Need To Watch If You Need A Good Cry.’ This Netflix Original centers on Abbie (Gugu Mbatha-Raw) and Sam (Michiel Huisman), an engaged couple whose world was rocked after Abie was diagnosed with terminal cancer. Knowing that she will never have a future with Sam, Abie takes a rather humorous approach to deal with her fate – by helping Sam find a new partner that can replace her after she is gone. Irreplaceable You deals with acceptance, fear, and loss, and presents a different way of facing these emotions with its light-hearted script punctuated by genuine, raw moments. This Korean movie was based on the American Social film of the same name produced in 2012. The film tells the story of Woo-jin, a furniture maker who, after his eighteenth birthday, wakes up every day to a new face and body. He falls in love with Yi-soo (Han Hyo-Joo) who works at a furniture store where he sells his pieces. 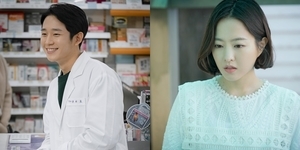 Besides from the very interesting mix of characters (Woo-jin was played by thirteen different main actors), The Beauty Inside shows the reality that sometimes, there are terms within a relationship that is beyond our control. Han Hyo-Joo gives a realistic performance of someone who has to face the harsh complications of her relationship with the love of her life. Based on best-selling author John Green’s book of the same title, the movie – which stars Nat Wolff as Quentin and Cara Delevigne as Margo – deals about finding one’s self and seeing a different side to a love you've had faith in for most of your life. Quentin has always been in love with her neighbor and schoolmate Margo so he stubbornly packs his bag and brings his friends along to find her after she mysteriously disappears. Following the clues that Margo has left him, Quentin is forced is face the reality behind his affections for her and, along the way, learns a healthier way of loving the people around him. This classic was at the top of the bittersweet romance list during the early 2000s. Shane West plays Carter, a bad boy who was forced to hang out with Mandy Moore’s Jamie as a school punishment. The story shows the character development of a jaded high schooler after he falls in love with a pure, compassionate girl who helps him see the world in a different way. A Walk to Remember is a movie that tackles with change, courage, and finding beauty in loss. Do you have a favorite bittersweet movie? Don't forget to share your suggestions in the comments section.